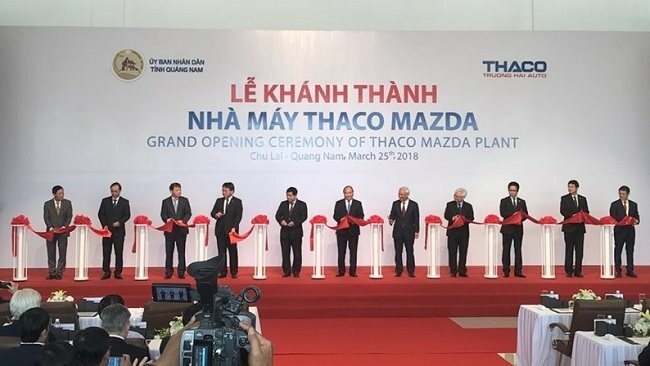 TheLEADERThe Thaco Mazda plant in Quang Nam province has just completed its first phase with a capacity of 50,000 units per year and had $308 million disbursed from Truong Hai. On March 25, 2018, Truong Hai Auto Corporation (Thaco) held the opening ceremony of the Thaco Mazda automobile factory which is the largest and most modern Mazda car production plant in Southeast Asia, reaching the global standard of Mazda Japan. 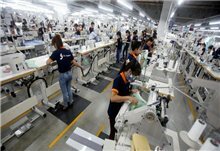 The Thaco Mazda factory covers an area of ​​30.3ha of which 17.3ha is used for the automobile assembly plants in Chu Lai - Truong Hai automobile mechanical industrial zone. As planned, Thaco Mazda will have a capacity of 100,000 vehicles annually with an investment of $529 million. This plant has just completed its first phase with a capacity of 50,000 units per year and disbursed $308 million from Truong Hai. Thaco Mazda is designed and built with a special structure in order to make sure that when Thaco increases its capacity to 100,000 cars annually, it only needs to install some equipment such as robots or stretching automatic conveyors to make the production uninterrupted. 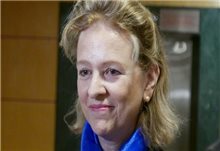 Thaco Mazda is equipped with automatized and the most modern production lines and equipment.Thaco Mazda tries to increase the localization ratio to 40 per cent in the near future. The quality of products is strictly monitored on each stage of production based on Mazda's quality management system such as MES, abbreviated for Mazda Engineering Standard, ISO/IATF 16949 or ISO 14001. The 2.4 - kilometer - trial road simulates the terrain as practice and ensures the technical requirements to test the vehicle quality before shipment. 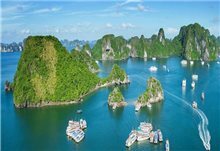 The plant is also designed with a density of over 55 per cent of green trees, ensuring the highest environmental standards in Vietnam. 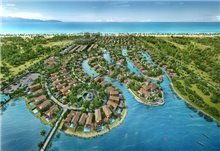 The appearance of this modern plant is a part of the "Thaco’s Agreement on Investing for New Cycle in Chu Lai Open Economic Zone” which Thaco signed with People's Committee of Quang Nam during the Investment Promotion Conference of this province.